Dogs love our 4”-6” pieces of hard antler as chew toys. 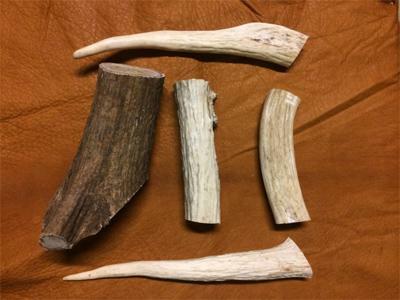 The antler is honey-combed and less prone to splintering than regular bone. These chews give your dog hours of enjoyment and are good for cleaning his/her teeth. Or, for the artist in you, the tips of the hard antler tines are like ivory and are good for making carvings, jewellery and pens. Price varies by piece, but generally$10 to $12 per piece. 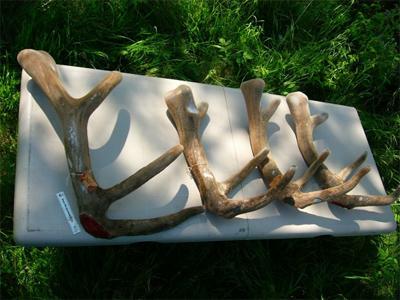 We sell trophy hard antlers from our breeding bulls. 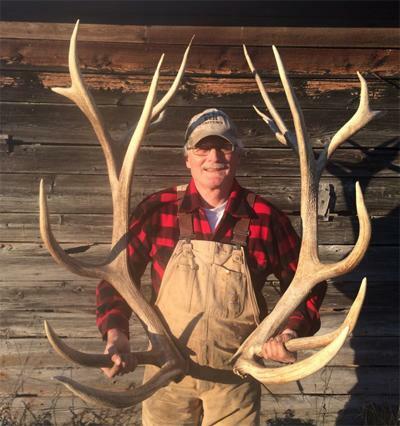 Antlers can be purchased as sheds or as mounted trophy sets on a beautiful hardwood plaque. Price varies with size and mounting, but generally fall between $250 to $500. Elk velvet antler has been used in Oriental medicine for thousands of years, and is gaining acceptance in North America in capsule form. When harvested humanely in the velvet stage, elk antler naturally contains insulin-like growth hormone that boosts energy and the immune system, and chondroitin sulfate and glucosamine that are good for arthritis. Call us to learn more (807) 486-3409.